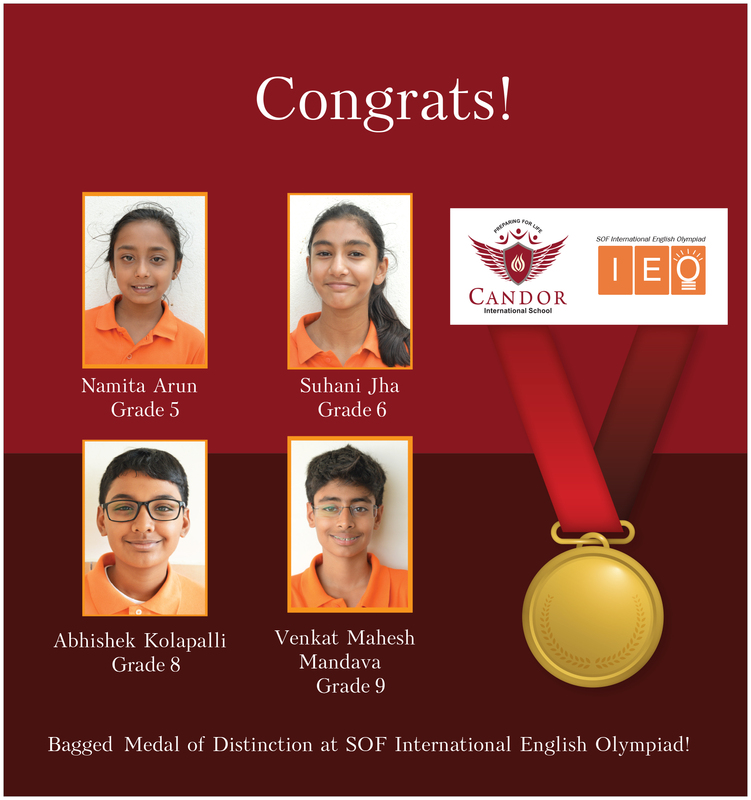 Congrats to Namita Arun, Suhani Jha, Abhishek Kolapalli, and Venkat Mahesh Mandava for bagging Medal of Distinction at SOF International English Olympiad. 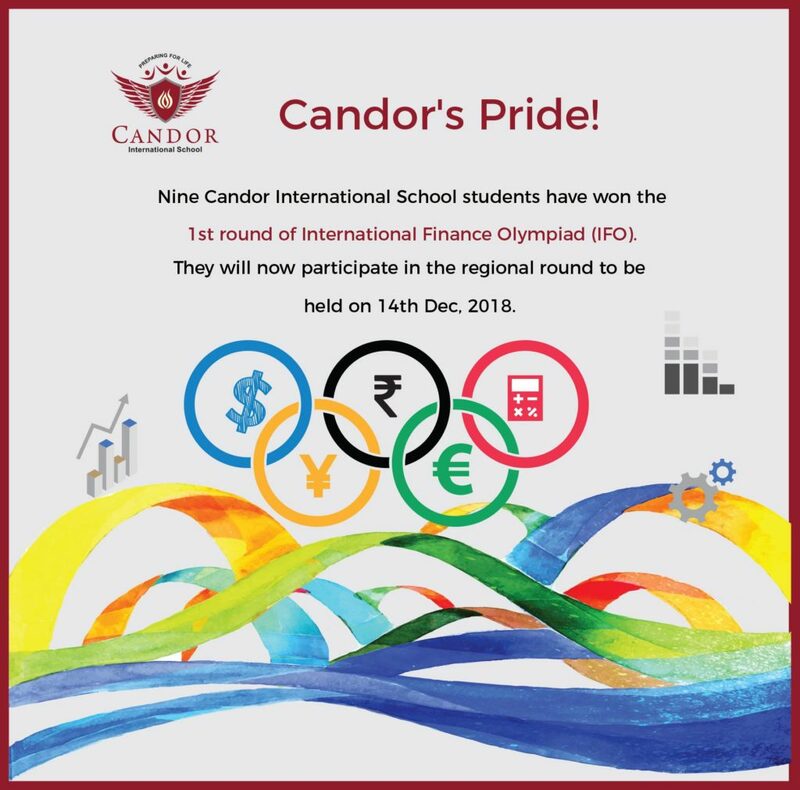 They, along with other Candor students Anahita Neogi, Vittal, Naisha Shashidhar, Isaiah Abraham, Aryan Ramachandran, Lekhana Raju, Meghana Krishna Kumar, Tia Anand, Sriram Pillai, Anoushka Ghosh, and Diya Ramesh, now move to Level 2 of SOF International English Olympiad. Good luck to all!